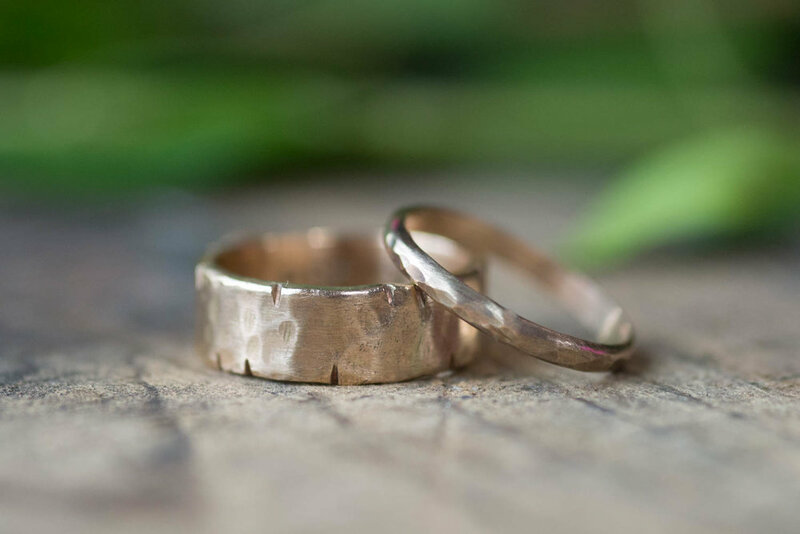 Join me in my beautiful Portland, OR studio for a private one-day couple’s workshop where I’ll guide you through making your own wedding bands. No previous experience required. You and your partner (or partners, or hey, just you!) will spend 3-6 hours with me in my studio making your own heirloom quality wedding bands. You choose your ring style and metal and I’ll make sure you leave at the end of the day with the rings of your dreams, made by you! The workshop fee is $495, plus the cost of materials for your rings. Workshops are booked in a six-hour block but many couples finish in less time. 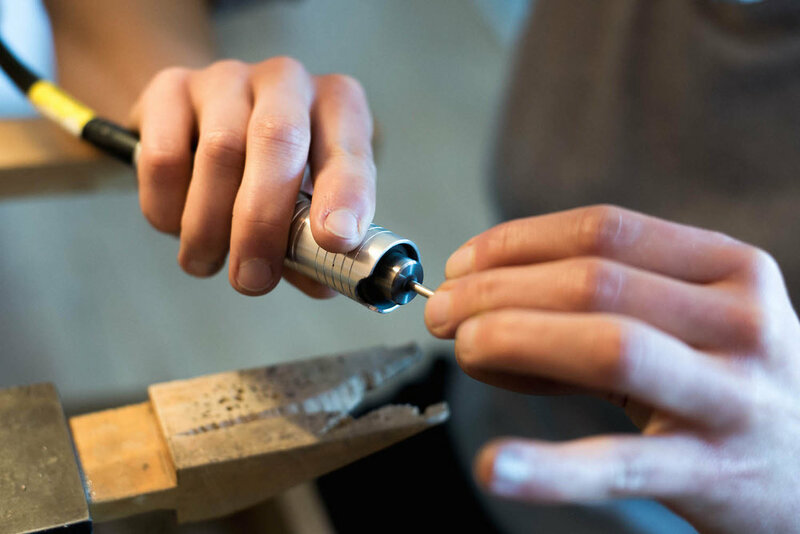 The fee includes private instruction and access to all of the necessary tools and supplies to complete your rings. You’ll also each receive a nifty Buffalo Lucy t-shirt at the end of the workshop. Appointments are available throughout the week, but weekends fill up quickly. You’ll need to book at least two weeks in advance to give us time to plan your rings and prepare the materials. Most couples will leave at the end of the day with their finished rings, but some techniques (such as stone-setting) are too advanced to be completed during the workshop and will be completed by me afterwords. These services can take up to two weeks, so keep this in mind when booking. Feel free to contact me prior to booking if you have any timeline concerns. Otherwise, grab your slot now!